Having to file your taxes for the very first time is yet another sign that you’re well on your way to becoming an adult…whether you want to be or not. Even with the help of your parents or someone who has been filing taxes for years, the whole process can be more than a little daunting. One mistake could either cost you money or cause you to be edited by the IRS, which is the last thing you want to experience if it’s the first time or the 100th time that you’re filing your taxes. You can successfully file your taxes for the first time with a little direction and knowledge. Whenever you start a job, you’ll have to fill out a tax form. Know in which category you’ll fall into, which will depend on if you’re single, married, have two jobs or if you have dependents. 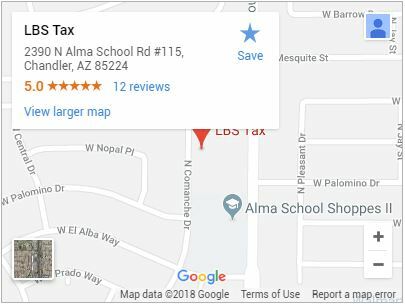 If you aren’t sure, it’s best if you take the form with you and find out as soon as possible rather than ask another employee, unless that employee also moonlights as a certified accountant in Chandler. You never know what new tax laws might apply to you that could potentially affect which category you fall under. The first thing you’ll want to do is start with your 1040EZ form. It’s not known as the EZ form without reason. The only downside is that the only people who can use this form are married couples and single people who don’t have dependents. If you don’t apply to either category, find out which tax form you should start with. Next, you’ll want to learn more about your W-2 form and all other tax documents. Take a look at all of the various labels and boxes and make sure that you scan the back of the form as well. If there’s anything that you don’t understand, ask your parents who can ask their accountant. The more you know the better prepared you’ll be. Most young people will qualify for tax deductions for student loan interest, tax credits that assist you with saving for retirement and tax credits for your college education. While retirement might be quite a ways off, it’s never too early to start a retirement fund. You’ll appreciate it when you start having more financial responsibilities as you get older and might not be able to save as much for retirement as you might like. To get the hang of filing your taxes, do them on paper yourself first before doing them on inexpensive or free tax software just to see if your calculations were correct. As a last step, allow a Certified Public Account to take a look at your tax form to verify that everything is correct. Filing your taxes for the first time is only as difficult as you want it to be. The more you know, the less frustrating it will be. The better you get your ducks in a row, the better you will be in the case of IRS Tax Audits.